CML Heads West for PCB West in Silicon Valley! During early September, the CML USA team packed up and headed to the west coast of the USA for the PCB West show being held in San Jose, CA. Our newest CML USA team member, Chris Minard, Director of Business Development – USA/Canada was also present at the show. Having spent the month of August onboarding in Asia with CML and visiting its supplier partner factories, Chris was excited to get back ‘home’ to Silicon Valley. Having spent parts of the past two decades both living and working in San Jose, it was the perfect launch point for CML’s USA expansion efforts under Chris’s direction. The USA team was also joined by Moritz Hoeft (Managing Director of CML Europe and CML Automotive) and Juergen Kaulich (Sales Director CML Americas & CML Europe) make the trip from Germany, with Antonio Navarrete (General Manager Latin America). To provide the latest news and information on PCB production and technology, we invited one of our longest partners to join us at the show. TEAMWORK is one of CML’s corporate values. With effective teamwork driving our global collaboration we can deliver better solutions and delight to all stakeholders. The team building event kicked off with a number of constructive meetings in San Francisco and finished with seeing the San Francisco Giants baseball game at AT&T Park. 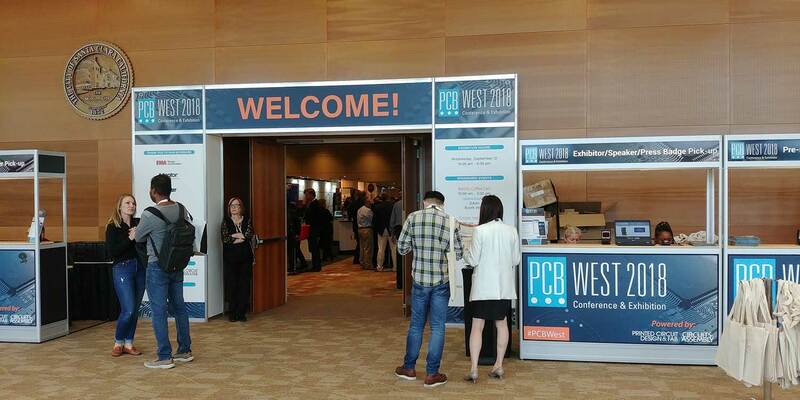 During the PCB West show, which was well attended, we noticed the high percentage of PCB Design Engineers that attended. This demographic made many of the inquirers to be very technical in nature. Being in the heart of Silicon Valley, this show will provide CML a future base to promote CML’s expansion efforts within the US marketplace. There is no question the show was a success from a marketing standpoint and each year we attend, will provide another building block to launch our global footprint in the US, Canadian, and Mexico marketplaces. This was an exciting starting point for CML USA, and we look forward to next year’s PCB West show!